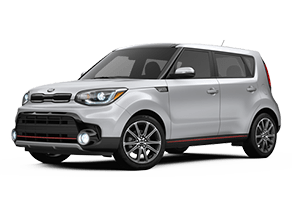 The Kia Soul is known for its unique, spunky exterior, but it has so much more to offer than what you see from the outside. The one-of-a-kind Soul has a modern, sleek feel with a spacious, comfortable interior and a wide array of high-tech convenience features designed to improve the driving experience. With plenty of space for five passengers and their gear, the 2017 Kia Soul is an outstanding vehicle for individuals and small families alike. It’s pretty easy to pick out a Kia Soul on the road due to its rare shape and bold front end. 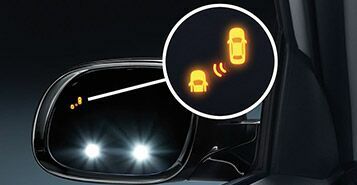 Available exterior elements include a variety of striking color options, heated outside mirrors with LED turn-signal indicators, HID projector beam headlights with auto leveling, LED positioning lights, and solar glass, among others. The Soul’s eye-catching exterior is only the beginning. Let’s take a closer look at what else the 2017 Kia Soul brings to the table. 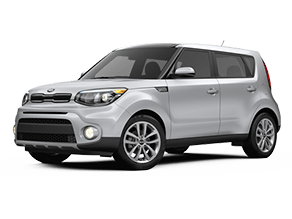 The 2017 Kia Soul is equipped with a suite of active safety features that are designed to help protect riders. These include the traction control system, electronic stability control, vehicle stability management, brake assist system, and hill-start assist control. 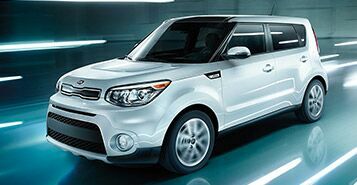 In terms of performance, the Kia Soul offers three different engine options. The 130-horsepower 1.6-liter inline 4 and 2.0-liter inline 4 engines offer EPA-estimated 27 combined mpg, while the 201-horsepower 1.6-liter turbocharged inline 4 engine is able to achieve EPA-estimated 28 combined mpg. The Soul is specifically built to provide a comfortable in-car experience for all riders. 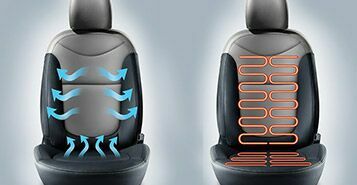 Available comfort elements include automatic temperature control, leather seat trim, 10-way power driver’s seat with lumbar support, heated and ventilated front seats, heated steering wheel, and more.